To Liebster or to not? 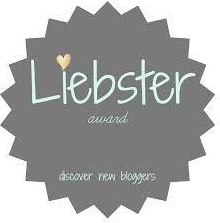 I want to thank Barbara at http://stealjustoneday.com/somebody-out-there-liebsters-me/ for nominating me for the Liebster Award. What a surprise! It’s hard to know what to do with these awards and doing some background reading there is mixed advice and views. But as Barbara was so kind to include me in her list I thought I’d follow through on this one. There also appears to be a various sets of ‘rules’ as what to do – so again after a bit of research I decided to follow wordingwell (http://wordingwell.com/the-liebster-award-the-official-rules-my-first-blog-award-and-a-few-personal-secrets-revealed/) suggested rules. Nominate 5-11 bloggers with less than 200 followers. 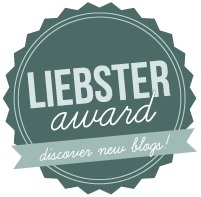 Give your nominees 11 questions to answer on their blog when they post about the Liebster Award. 1. If you could play hooky for a day, what would you do? Spend the day in the garden with my family. 2. “A Tree Grows in Brooklyn” or “The Sisterhood of the Traveling Pants”? I’m not sure if she means the films or books – but I have seen neither of them nor read the books (sorry!). 3. Do you prefer international travel or to explore closer to home? Why? Closer to home. I’m a home-bird! 4. What’s your go-to comfort food? I make my own dairy and gluten free muffins and cake. 5. Dinner companion: Abraham Lincoln or Betty White? Abraham Lincoln. 6. If you left home for a year or more, what would be in your suitcase? A notebook, pen, my diary and camera and my kids (though the latter probably not in the suitcase! ), oh and a few spare clothes and a book to read. 7. Give us a link to the best or the favorite of your own posts. What made you write that one? https://murtaghsmeadow.wordpress.com/2014/12/30/growing-garden-year/ I think this was first time I’d tried to do a photo-gallery. I wanted to do a summary of the year in the garden and the gallery just fitted the bill. I was really pleased with the visual result. 8. How do describe yourself? Use just three words. Mother, gardener and nature-lover. 9. How do others see you? Three words. Friend for life. 10. What word do you dislike? Hate. 11. What interesting thing will you choose to do this week? Host a party for 14 kids, 7 years and younger at the local community centre! 1. What in nature amazes you? 3. What living person would you most like to meet? 4. What is your favourite place and why? 5. If you could bring two books to a desert island what would they be? 6. What do you most enjoy about blogging? 7. What or who inspires you? 8. What do you most like to grow, or would grow if you could? 9. What is the best things you have ever eaten? 10. If you could plant a tree what type of tree would it be? 11. What is your favourite time of year? This entry was posted in Awards and tagged Awards, Liebster Award on January 31, 2015 by Murtagh's Meadow.